I seriously think I have the best job. It can be weird at times. I mean, baking peppermint cookies in October may not be normal for you. Visiting a dairy farm and milking cows, may not be normal either (unless of course you are a farmer)! A couple weeks ago I got the opportunity to spend a few days with the American Dairy Association, some of my favorite blogger friends, and a few cows. Yep, this city girl went to the farm! But of course we first got to stay in a fun, swanky hotel in downtown Cleveland, Ohio! 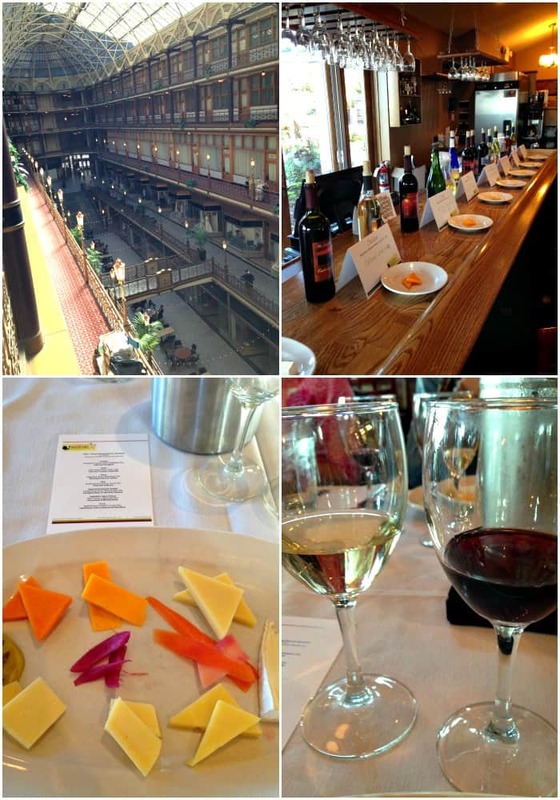 Besides being spoiled with a delicious wine and cheese dinner, we learned how to pair the RIGHT wine with the RIGHT cheese. We also had to go to bed early that first night, cause we were getting up in the morning to milk cows. Cross it off my bucket list, I milked a cow. Well, I guess I’d technically have to put it on my bucket list first, then cross it off. Regardless, I milked her. Our group not only visited two dairy farms (thank you Indoe and Andreas families! ), but I learned so much too. All my preconceived notions about cleanliness and care of the cows went out the window. From the little farmer to a big farmer, they really do care for their cows! Happy healthy cows make the best milk! And the baby calves…oh my they were so cute! I even hand fed one a big bottle of milk. I’ve bottlefed many babies in my life, but this by far was the biggest one day old “baby” and the biggest bottle of milk! We also made a stop at Pearl Valley Cheese to see the process of cheesemaking (and get some samples of course)! Add in the visit to an Amish home for lunch (something about our big bus just didn’t fit right at their home), and the day would have been complete. But of course, it wasn’t over. 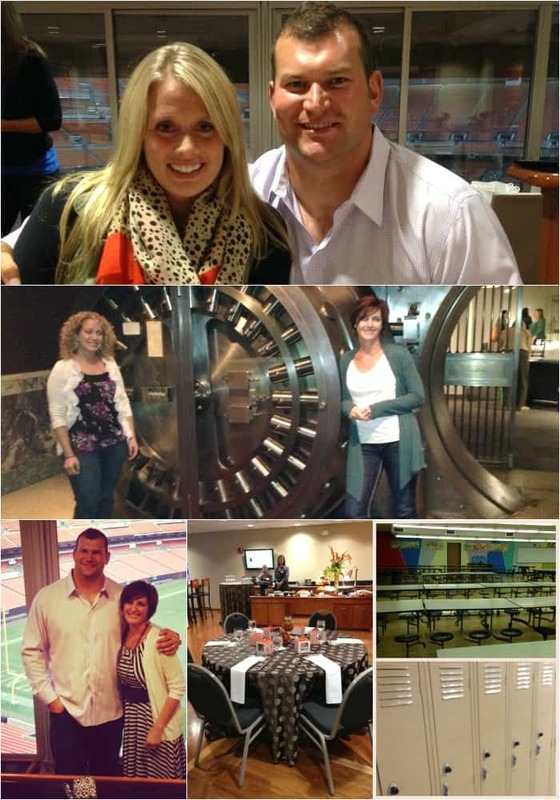 We visited the Browns football stadium for a swanky dinner and a chance to meet Joe Thomas (and wife!) and talk about the Fuel Up to Play 60 program! Joe and his wife, Annie are two of the most humble and kind people I had the chance to talk to on this trip! On the third day, we fought through our exhaustion and went to school. We visited a local school and talked with the principal about school nutrition and how the Fuel up to Play program is helping her students. Besides eating my weight in cheese over a 3 day period, I also learned quite a bit about the benefits of dairy. I mean, sure we’ve all seen the food pyramid, plates (whatever the new program is), but do we know WHY our bodies need those amounts? PLEASE stop over at the American Dairy Association website to learn more! 3 servings per day. Just do it! Today’s recipe is a perfect dinner idea. 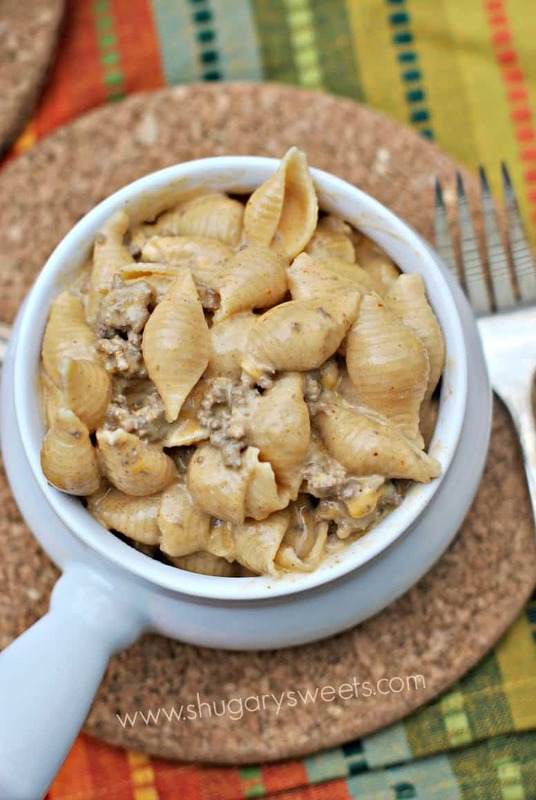 I used lean ground beef, but ground turkey (or even shredded chicken breast) would be delicious too! And it’s made on the stovetop in under 30 minutes! 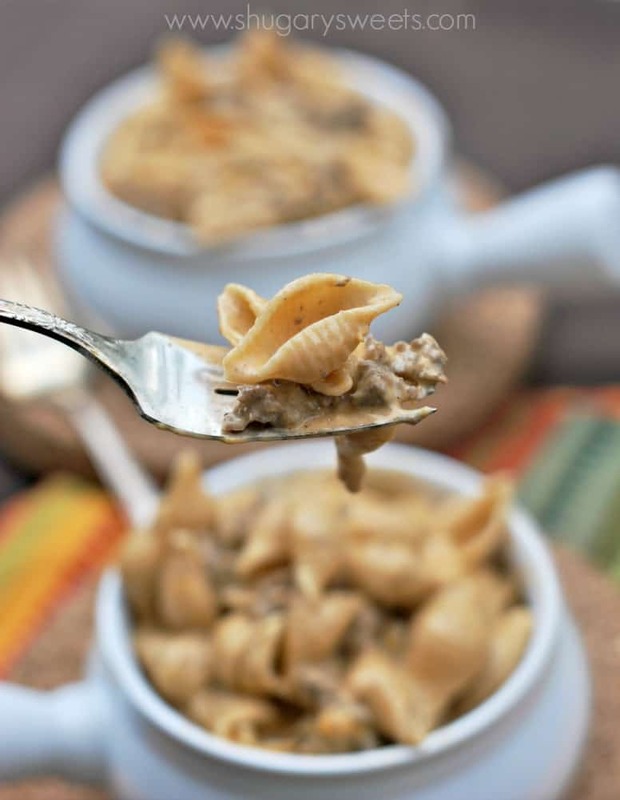 Growing up we often had hamburger helper, and while I liked it as a kid, they all have the same flavor. 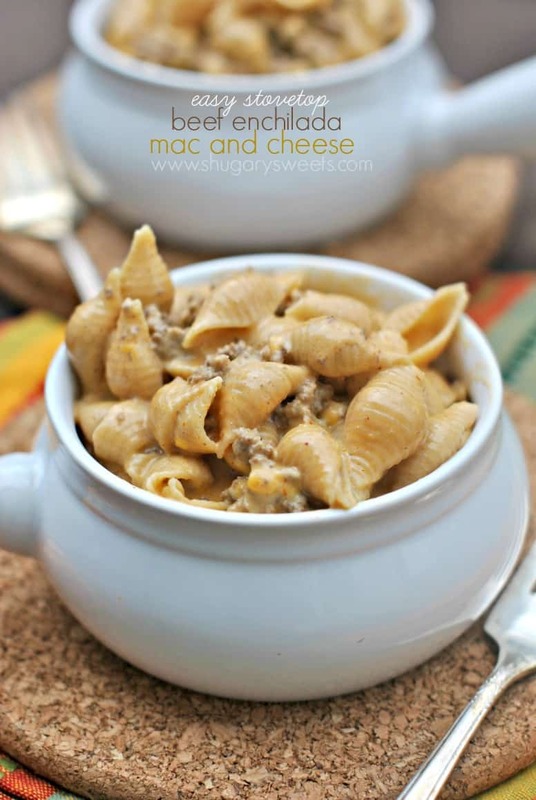 This enchilada mac and cheese in filled with real cream, real cheese and real taste! ENJOY! In a large pot (or saucepan), heat cream, enchilada sauce, cumin and salt on medium heat. Whisking often, heat until mixture just begins to bubble. Reduce heat to medium low and add in cheese. Stir until smooth. 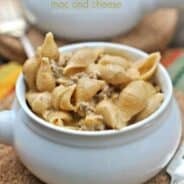 Mix in the cooked ground beef and the cooked noodles. **This post is written on behalf of the American Dairy Association, Mideast. 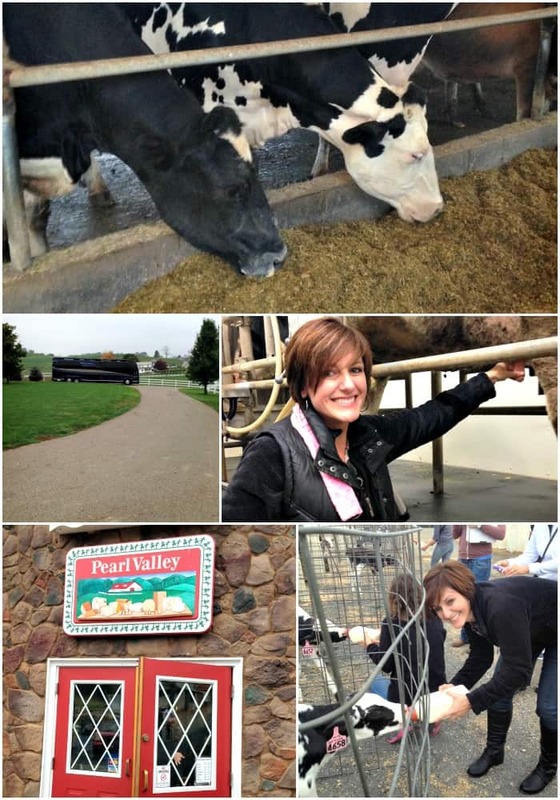 They provided me the opportunity to tour the farms, receive samples and learn about dairy! All opinions expressed are 100% my own!